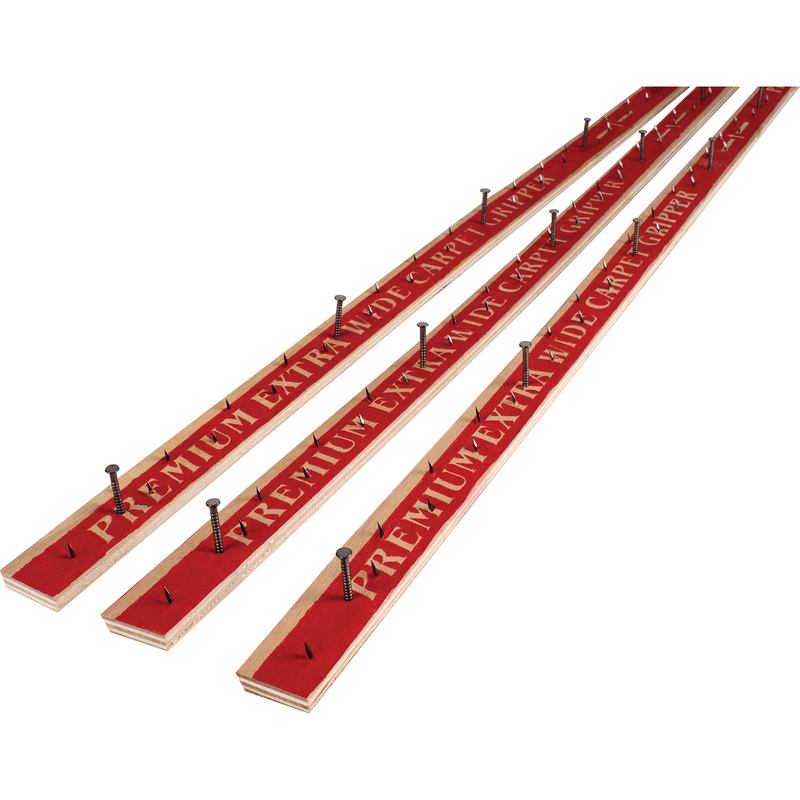 The Halex PREMIUM Carpet Tack Strip is made from alternating layers of Birch and Poplar wood to create an extra sturdy strip. 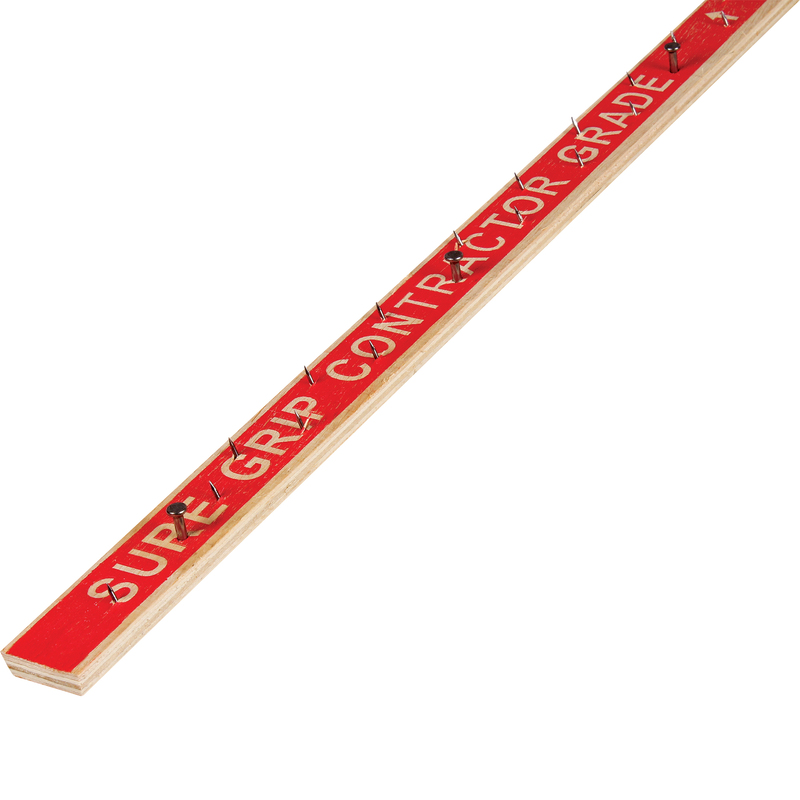 This strong, 5-ply construction prevents pins from bending or becoming loose. 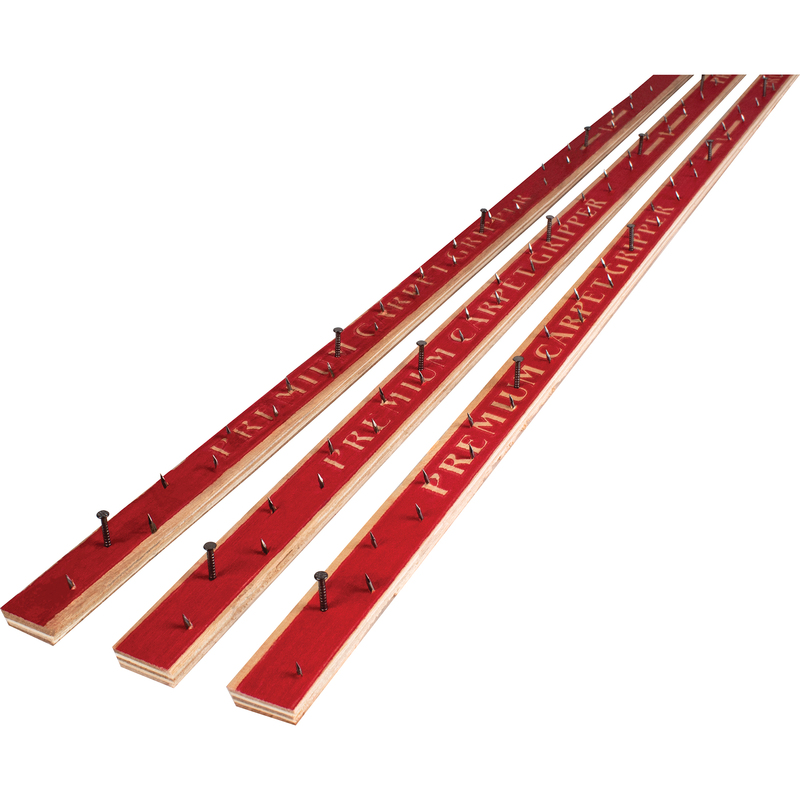 All Tack Strip comes in 4 foot lengths. 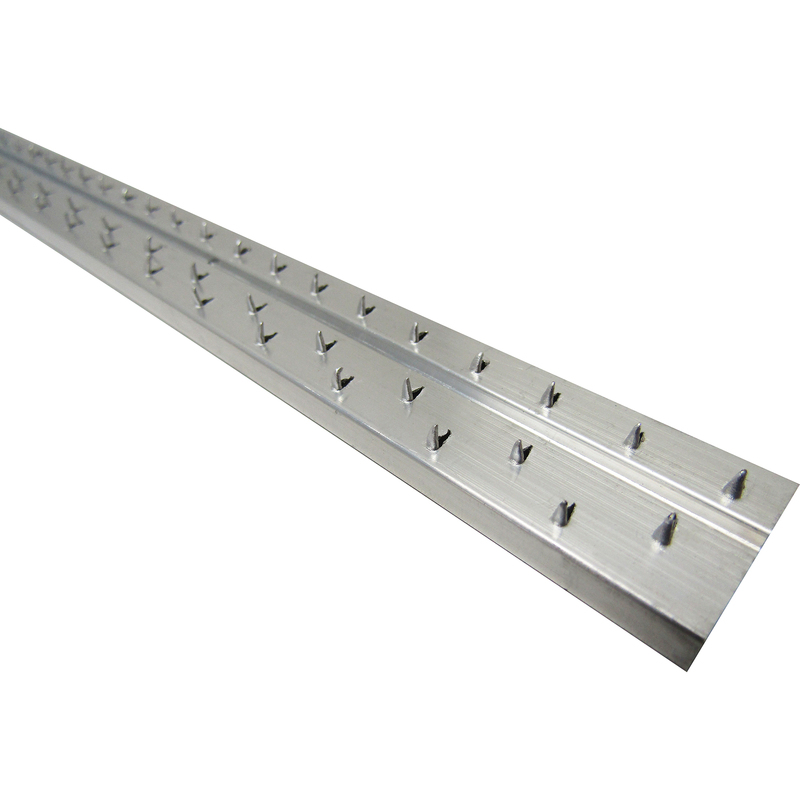 For additional product specifications and available options, including pin height, see our "Choosing the Right Tack Strip" document below. 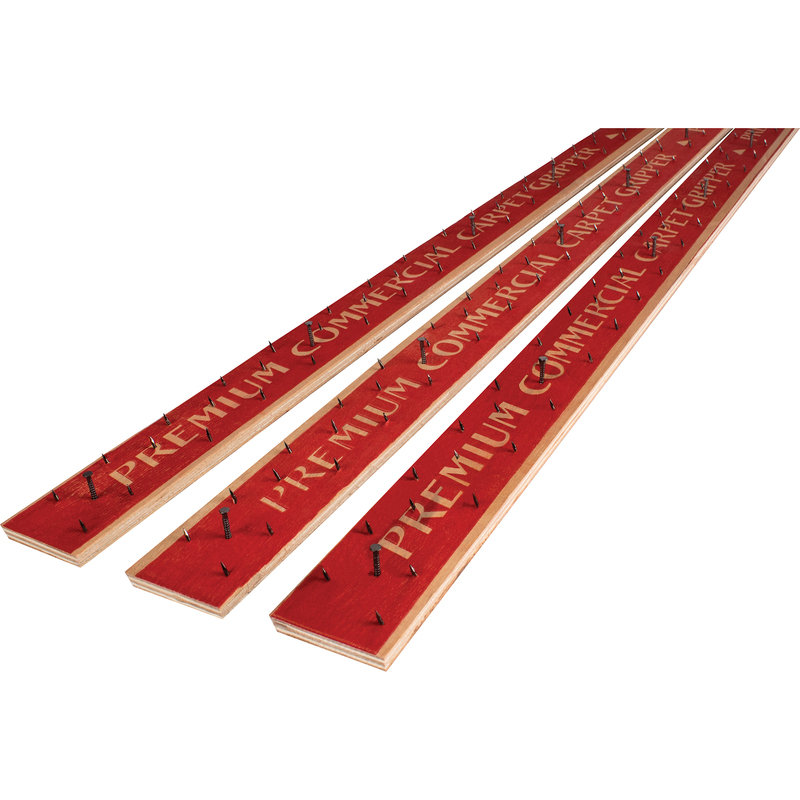 The Aluminum Carpet Strip is constructed of 100% high strength aluminum and will not rust or rot. 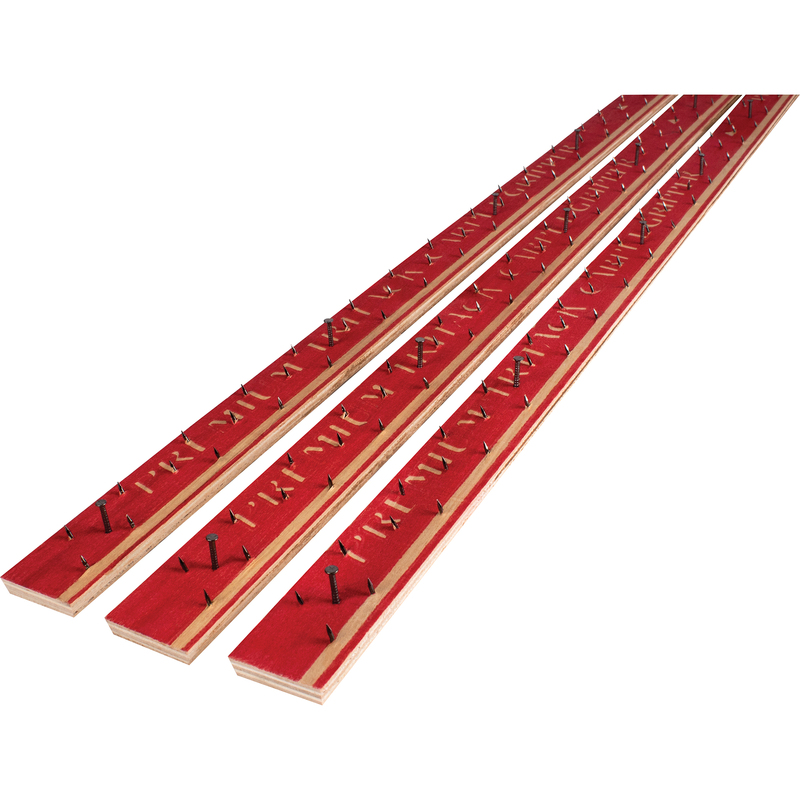 It is perfect for installing carpet in areas where water damage, termite damage, and other types of damage to plywood tack strips are risks. Suitable for high traffic areas such as entry ways and doorways where tall pins may extend through the face of the carpet. AccuPly Premium Plywood Underlayment has a rugged, solid core construction (5- or 7-ply) made from hard, relatively knot-free Baltic Birch grown in Northern European forests. It has more indentation resistance than poplar and luaun plywoods, to prevent crushing from from high-heeled shoes, table/chair legs, and moving appliances. This high quality plywood provides a stiffer, more structurally sound underlayment for vinyl, laminate, carpet, ceramic tile or wood floors. Eliminate imperfections in the subfloor with Premium Birch Underlayment for a smooth, defect-free surface. 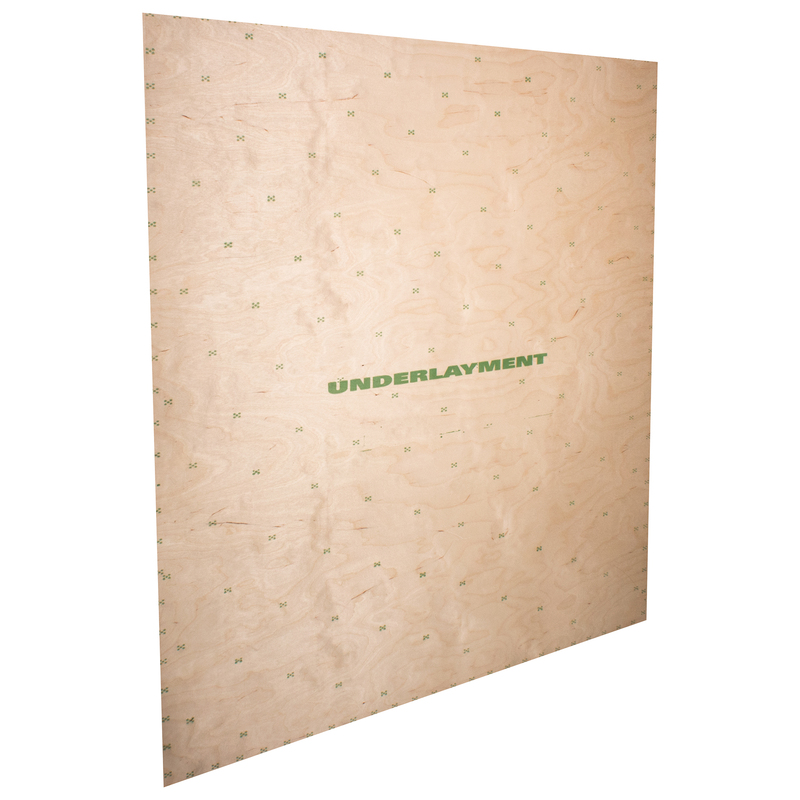 Enstron Underlayment Plus is a superior alternative to lauan plywood. This quality product exceeds the requirements for a smooth and consistent underlayment when installing recommended vinyl floor coverings. 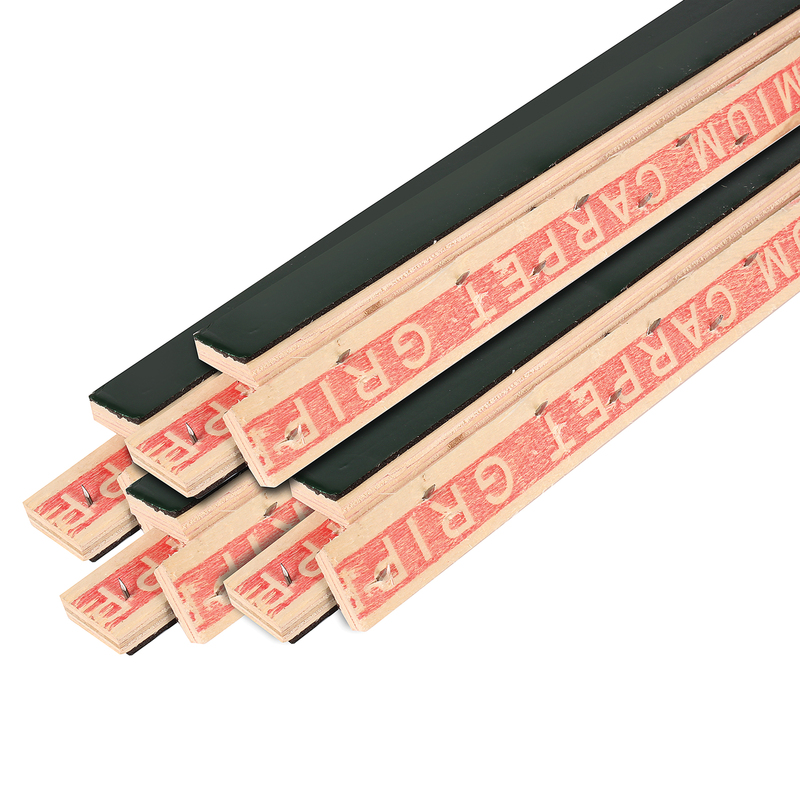 Enstron Underlayment Plus is twice as dense as lauan, resisting panel damage from impact. A Quality Brand of Q.E.P. Co., Inc. The HALEX brand has been licensed for use by QEP Co., Inc.